Studiotrope was commissioned to reinvent the Koelbel Library through a strategic renovation that would maintain its beloved aspects while bringing it into the 21st century. The building featured amazing views and light that was being blocked by a labyrinth of tall stacks and hanging signage. The colors and finishes were outdated and the building was not functioning as well as it could. The renovation opened these spaces up by strategically reconfiguring shelving to capture views and bring in light. 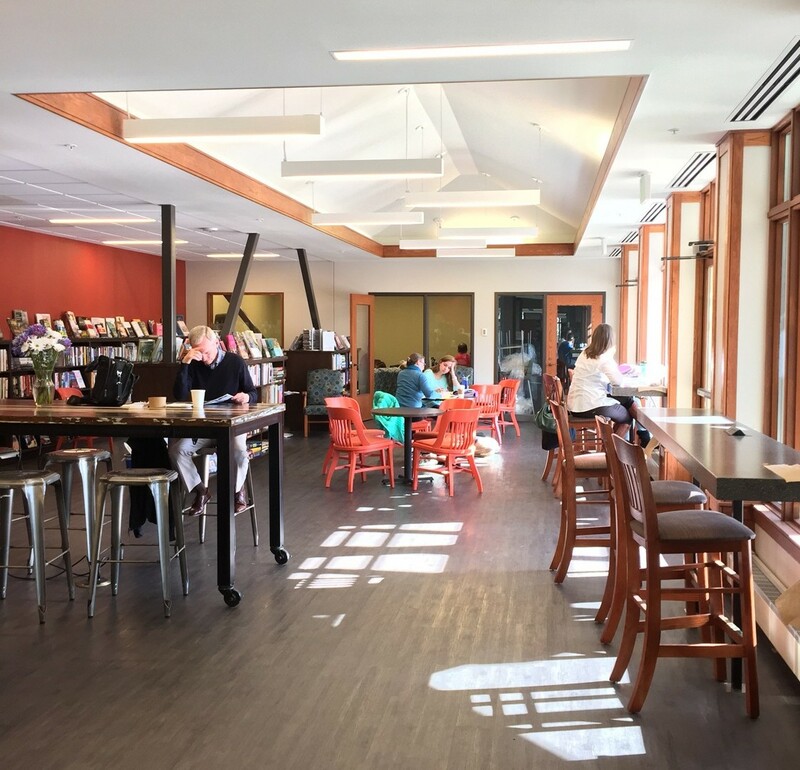 It also reallocated a significant amount of back-of-house space into patron space in creative ways that included the addition of a Cafe in the Friend's of the Library Bookstore, and an auditorium with tiered seating. The renovation also included: updating Children's, removing the large, central circulation desk: designing a wayfnidng system and new ADA signage; updating the restrooms; and improving on sight lines and flow.